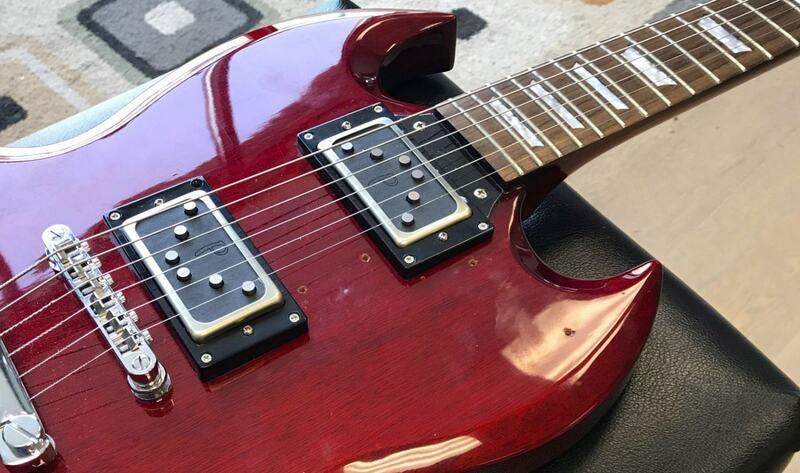 Tone that makes you look twice. 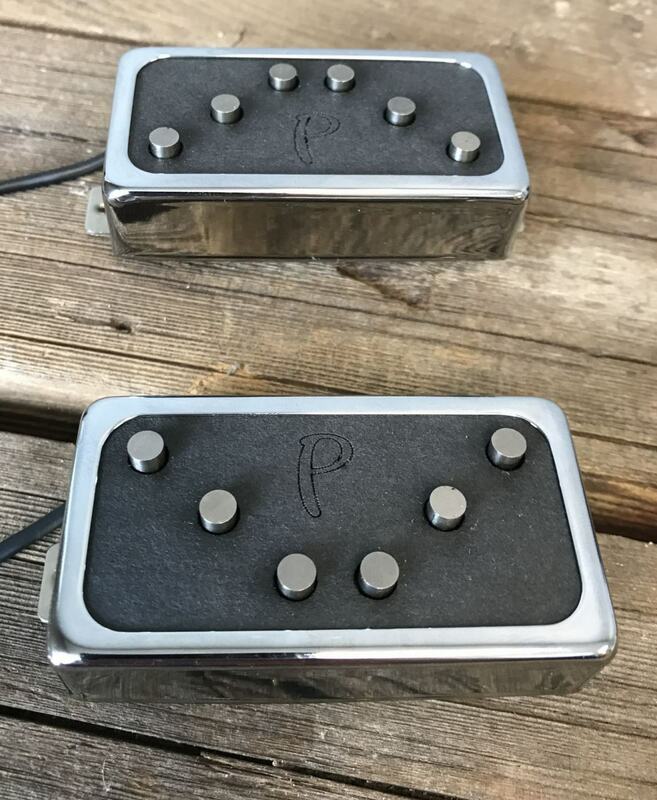 Be different in looks and in TONE! 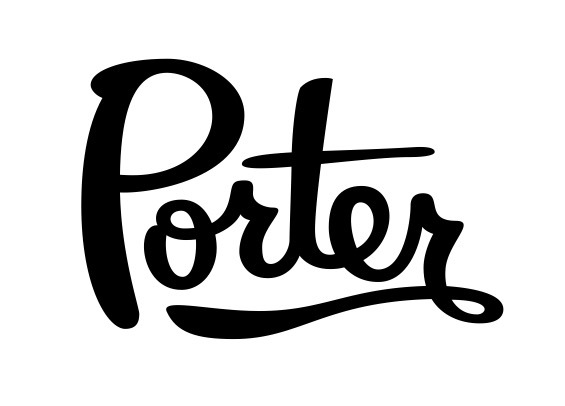 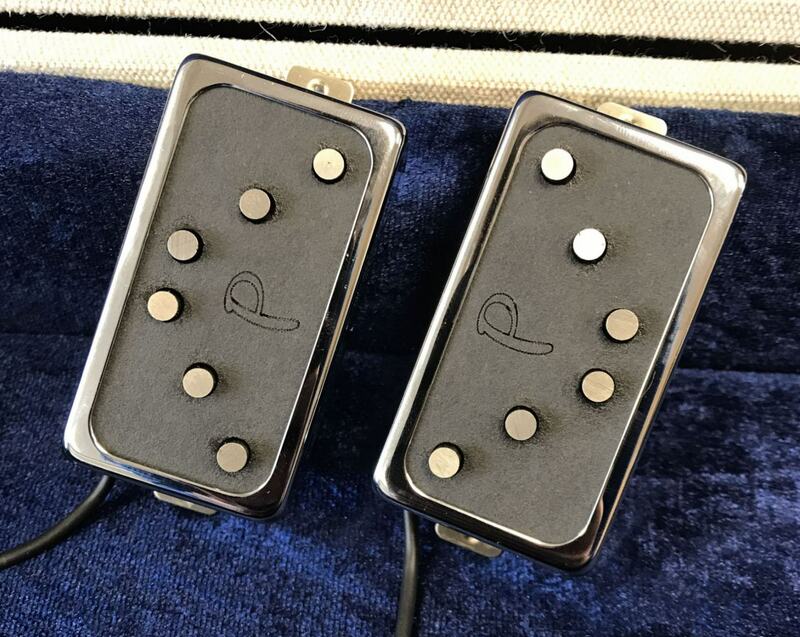 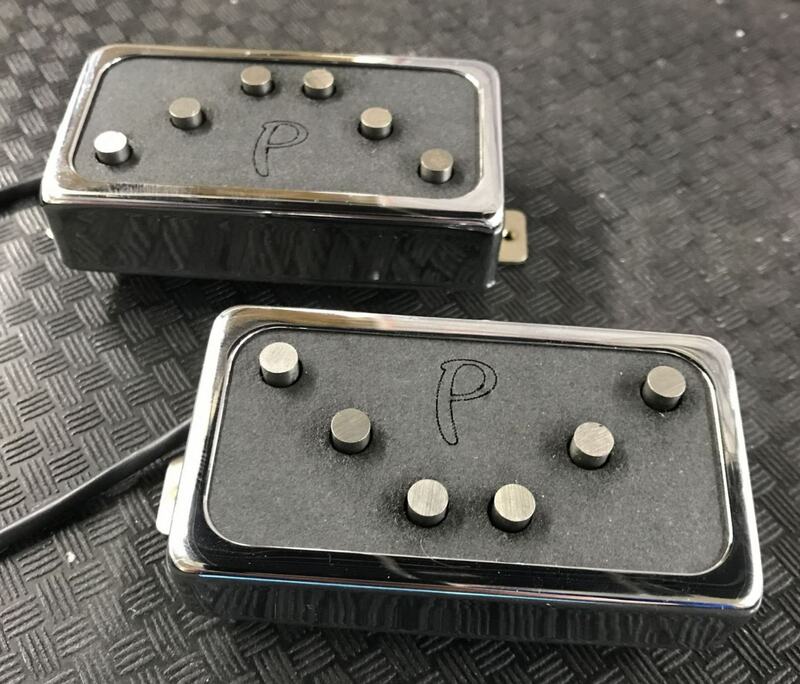 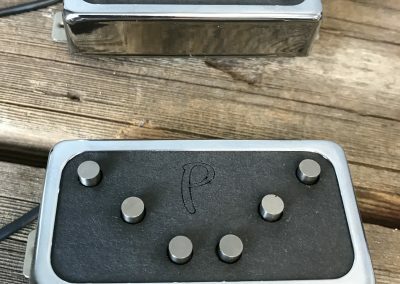 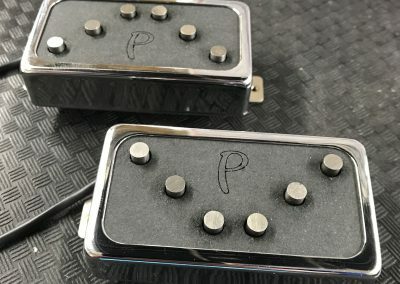 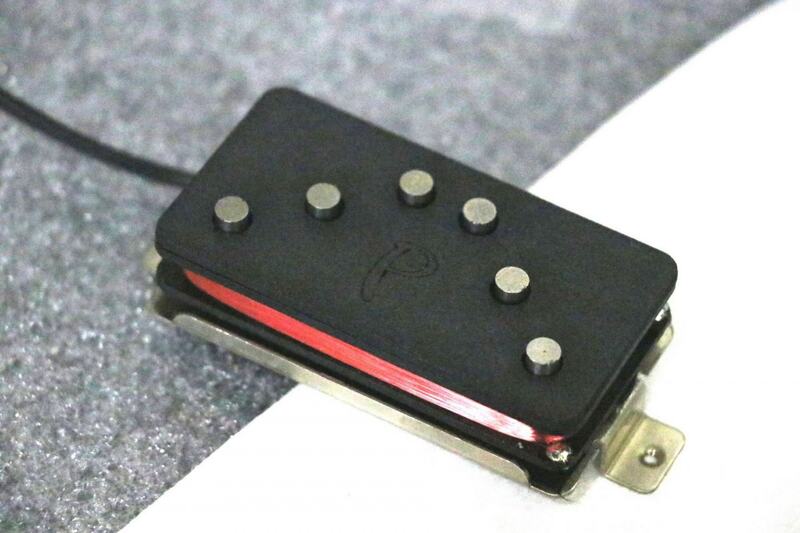 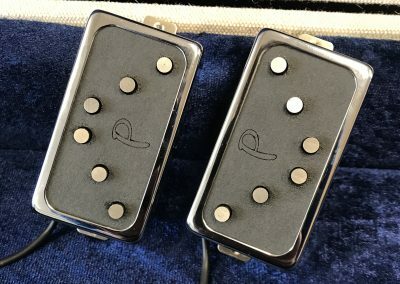 The Porter Ricochet pickups provide a unique look and construction for a tone you don’t expect. 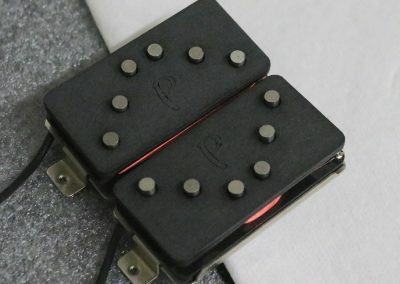 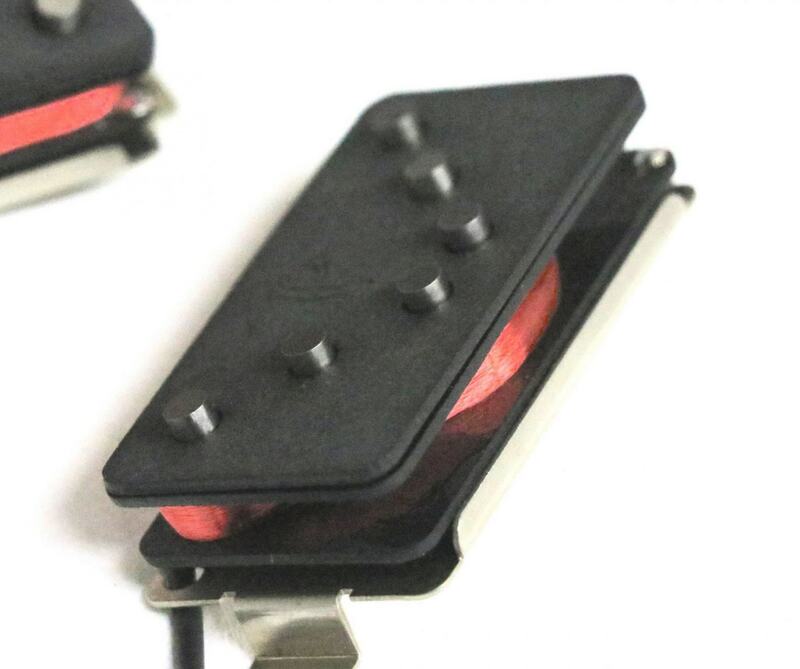 The Ricochet pickups are an arching rod magnet coil that remains a true single coil wound in a stunning triangular pattern around the AlNiCo 5 magnets. 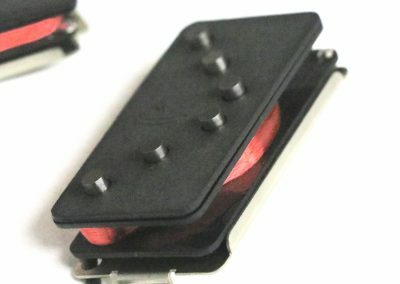 The Ricochets capture a unique translation of your tone with the non-traditional magnet placement, and the coil shape itself. 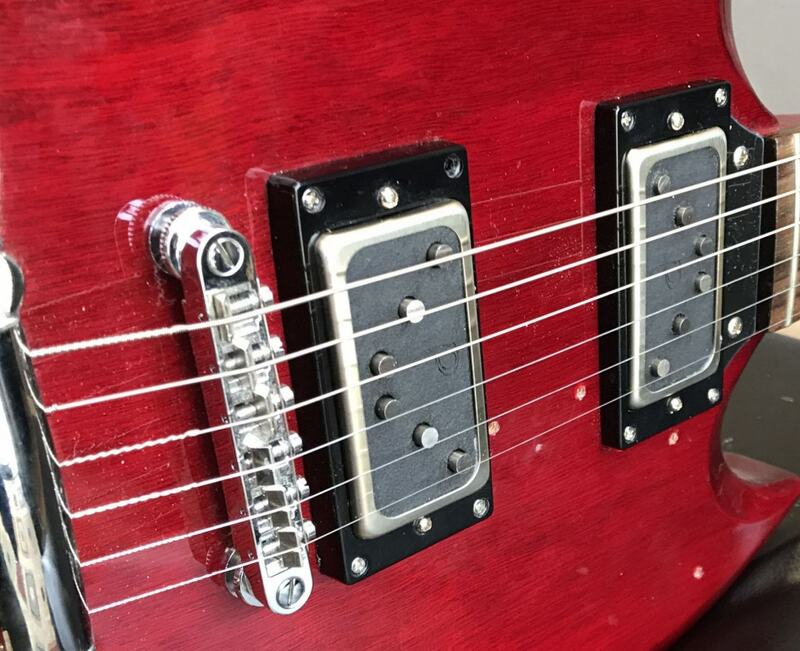 Everyone will be asking “what are those?” and you will be chasing new tones out of your instrument. 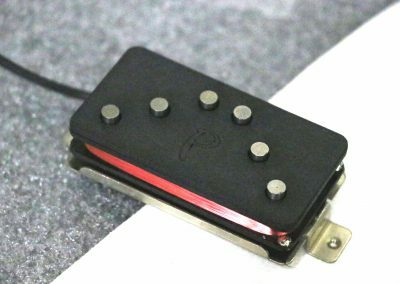 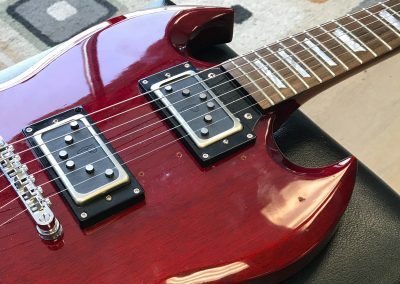 With the Humbucker sized casing, you get single coil snap and clarity with extreme articulation, as well as a completely different sonic range than any traditional pickup. 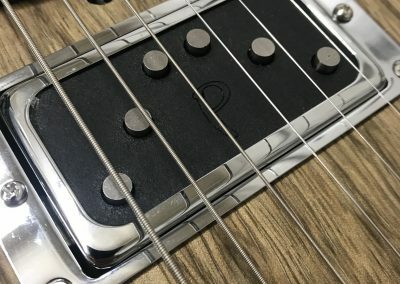 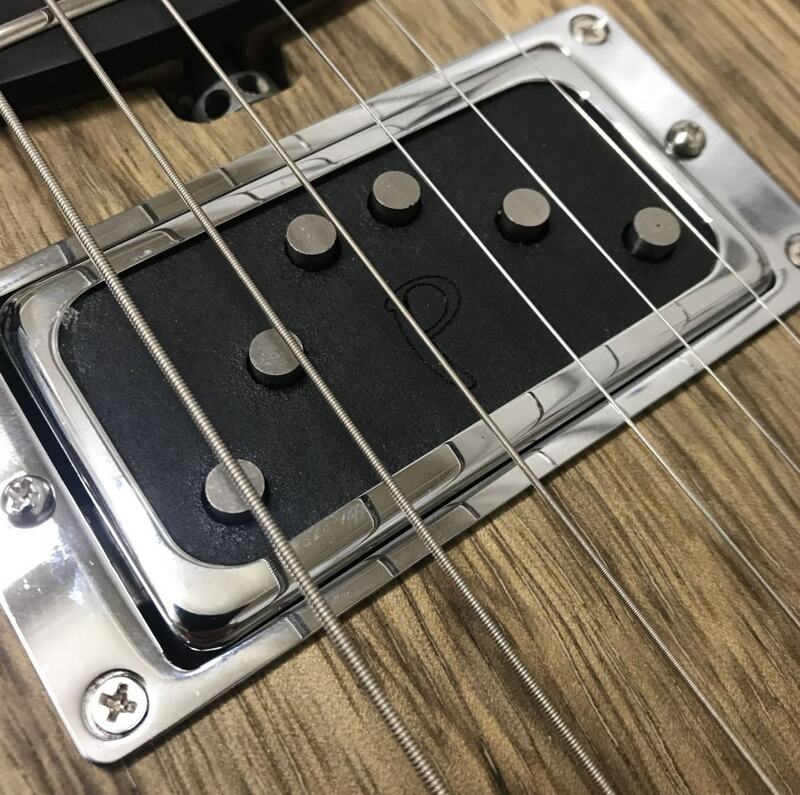 Combine the two pickups for a crystal clear middle position which is touch sensitive and features the full range of both pickups with a oval magnet pattern. 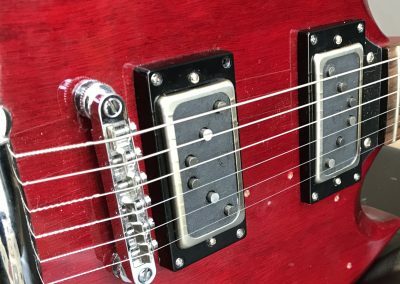 The middle position is also hum cancelling. Resistance ranges are mid 4K for Neck and around 5K for the Bridge.